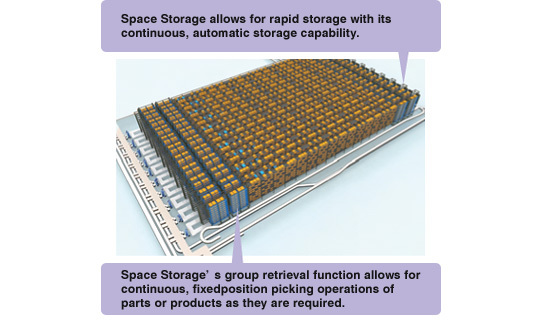 Uni-SHUTTLE HP is an automated storage / retrieval system designed to provide best-in-class capacity and performance through a combination of flexible storage functions, high-capacity transport and sorting capabilities. Uni-SHUTTLE HP is a new solution that pursues “maximum logistics throughput” in terms of both productivity and quality. Continuously sorts and stores parts and products from various suppliers or production processes with its best in class storage capabilities. 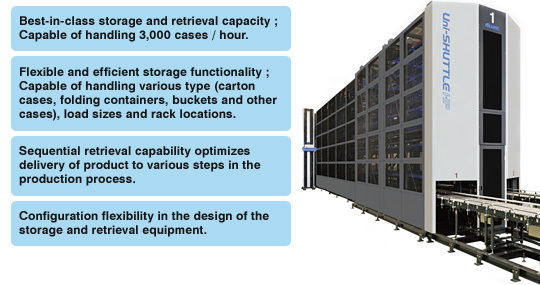 Sorts and stores rapidly and smoothly with its flexible and efficient storage capabilities that handle various load sizes and rack locations. Provides just-in-time retrieval of necessary parts and products with its fastest-in-class shuttles and retrieval equipment working in tandem. Easily handles individualized and same-day distribution needs with a system optimized for small-lot, highthroughput replenishment and retrieval operations. Rapidly and continuously retrieves parts and products in the order specified, whether by individual buyer or by position in the shipping queue. Efficient sequential retrieval capability eliminates the need for post-retrieval sorting of parts and products according to production process, buyer or shipping truck loading order. The flexible unloading process provides the added ability to retrieve products organized according to highly specific criteria, such as buyer’s product category, storage aisle or production process, including ideal sequential arrangement of goods for put away on the buyers side. 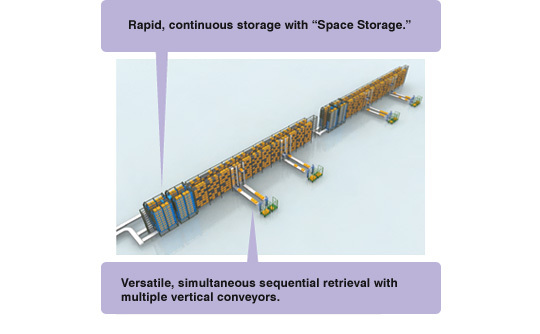 Uni-SHUTTLE HP is a “High-Performance Automated Storage/Retrieval System,” combining a multi-level storage rack system with shuttles running independently on each level and the optional configuration of “Space Storage” or vertical conveyors as its storage/retrieval equipment. Smoothly sorts and stores inventory with best in its class storage capabilities. Optimal for small-lot, high-throughput replenishment. Highly efficient and flexible, the storage rack allows for the storage of various load sizes in flexible locations (for loads within parameters, regardless of size, shape or type: 4-7 loads per storage cell). Independent shuttle vehicles on each level of the storage rack sort and transport loads at the fastest-in-class speed of 400 m / min. Just-in-time retrieval of necessary parts and products. 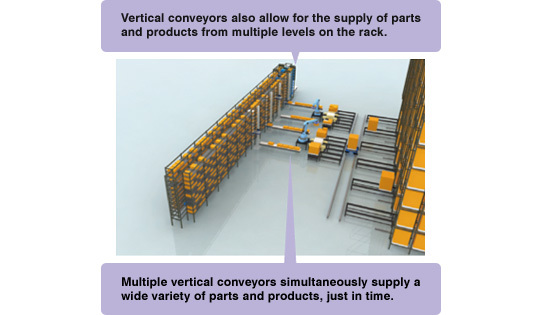 Individualized sequential unloading ability, allows for immediate retrieval of buyer’s products.